The Webcast Beacon Network is COMING SOON! 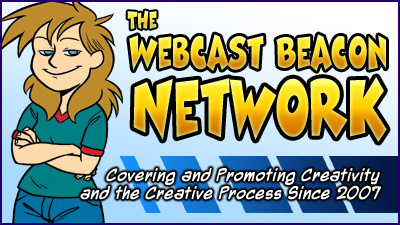 The Webcast Beacon Network originally started as The Webcomic Beacon Podcast in 2007. In 2010, The Tropecast and Webcomic Beacon Newscast were added to the programming. In 2011, The Tropecast was made separate and Webfiction World was added to a rebranding. Thus The Webcast Beacon Network was created. We are committed to those that wish to creative and express themselves: to have fun, learn, make connections, and grow. Right now, the site as it is, is not really ready to go. Links are not set, and the RSS are not entirely correct. However, we are working on it, and hope to have the launch soon! But you can help! If you are roaming through the archives here, please let us know of broken site links/images. Also, please check out the many ways you can contribute. We are particularly looking for Becky Beacon art for our episode “covers”. We accept all sorts of kinds of Becky art for our covers. Please read before creating and submitting. We are also seeking original music that we could be allowed to use on the show. (Podsafe or license-free). We are especially looking for LYRIC-LESS music to be somehow worked in with episodes, especially the coming Webfiction World program. While you are here, you can check out advertising and episode sponsoring opportunities.